Autel MaxiIM IM608 same as Auro OtoSys IM600, IM608 as All System Diagnostics, having the art 10-inch Android-based touchscreen tablet, support Automatic WiFi Online update. - All Special Functions, EPB, DPF, SAS, Oil Reset, BMS and TPMS Sensor ID Re-Programming etc. - Support IMMO functions for over 60 worldwide makes and models. - Equipped with XP400 to support PIN/CS read, transponder read/write/identification, MCU/EEPROM chip read/write and IMMO ECU Reset/Adaption. - Extensive vehicle coverage for more than 80 US, Asian and European vehicle makes. 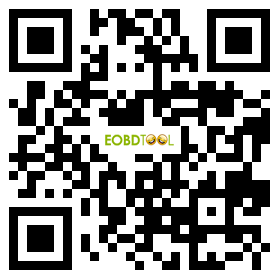 - Complete capabilities for codes, live data, actuation tests, adaptations. - Displays live data in text, graph, analog and digital gauge for easy data review and analysis. - Auto VIN technology can automatically identify the vehicle’s make, model and year information in no time. - Quick access for more than twelve common service functions including Oil reset, EPB, DPF, BMS, SAS, TPMS and more. - Cloud-based Data Manager saves customer and vehicle records, scanner data and technician notes. - Remote technical support for convenient demonstration, training and increased customer satisfaction. - Print out recorded data anytime and anywhere with Wi-Fi technology. - Automatic Wi-Fi updates available in new software releases.